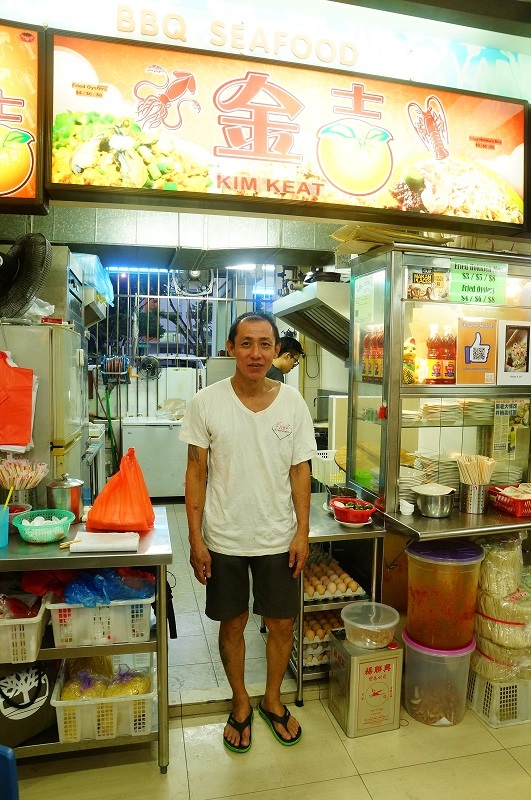 Kim Keat Hokkien Mee is owned by Mr Lee, a man who found strength in his faith to turn over a new leaf after spending 20 years in and out of prison. 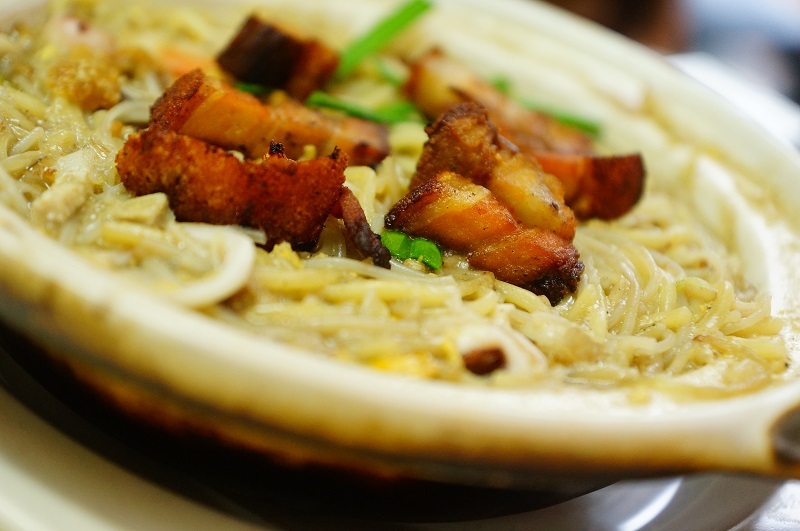 Kim Keat Hokkien Mee is his turning point in life and he has not looked back since. 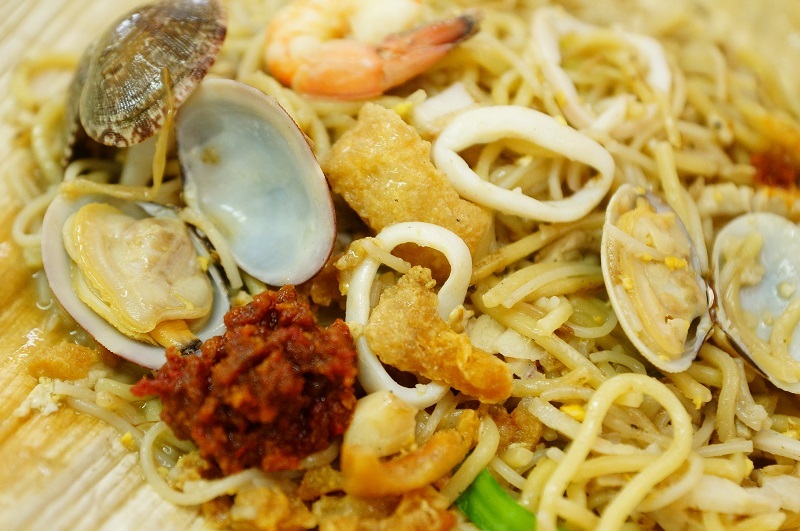 It is this heartwarming story that prompted some SMU (Singapore Management University) students to work on Kim Keat Hokkien Mee as a project, and requested our support for a review. The smoky charred flavour was further accentuated by the seafood, pork lard and the well seasoned stock. The noodle may be a little soggy on our first try, but the texture was much better when we visited a few days later after our feedback. Good improvement! Try the chili, it is good! The claypot version was more moist than the Opeh leaf version, but wasn’t as flavourful as the dry version, as it was lacking in seafood sweetness and flavour on our first try, however, it tasted great on our second visit. The deep fried roasted pork was crispy but tender inside, packed with all the goodness of roasted pork, we wish we could have had more of it! 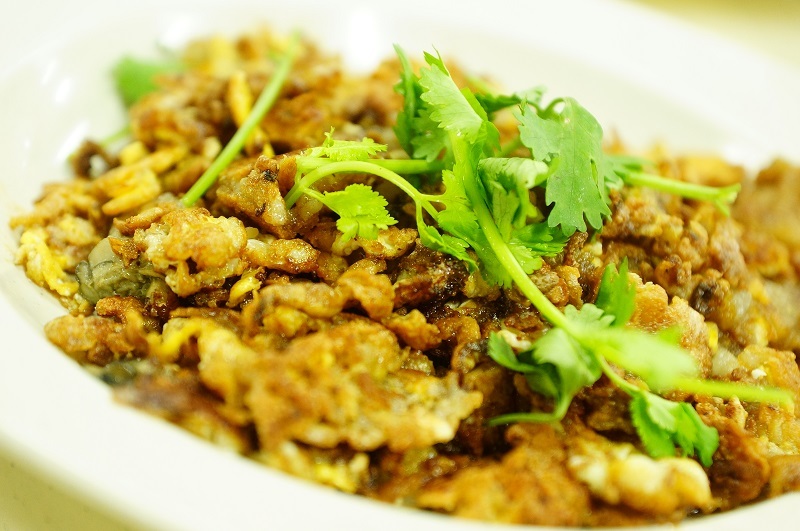 The first bite already made us fall in love with this fragrant, crispy eggy omelette, if Hokkien mee is the star here, the fried oyster omelette shines as bright. 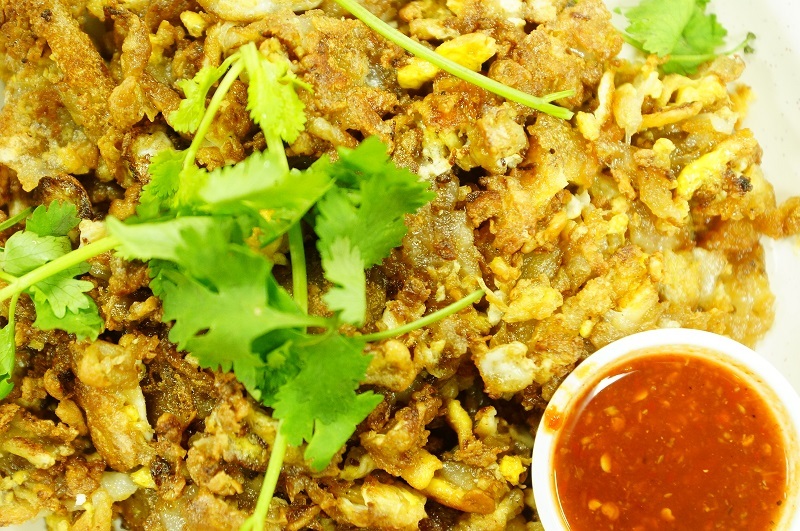 Our verdict, we strongly recommend the Hokkien mee in Opeh leaf, Claypot Hokkien Mee and the Fried Oyster Omelette here. 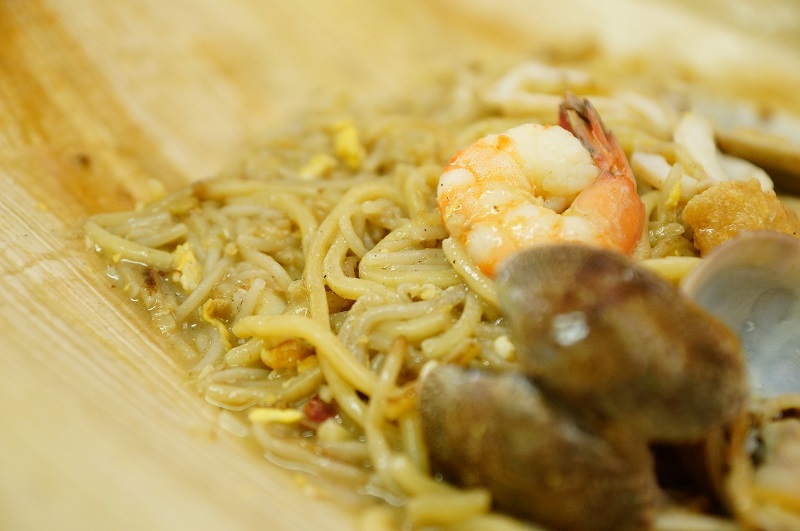 Kim Keat Hokkien Mee is definitely worth supporting, not just for a man who turned over a new leaf, but also truly the palatable dishes here that deserve our full endorsement. 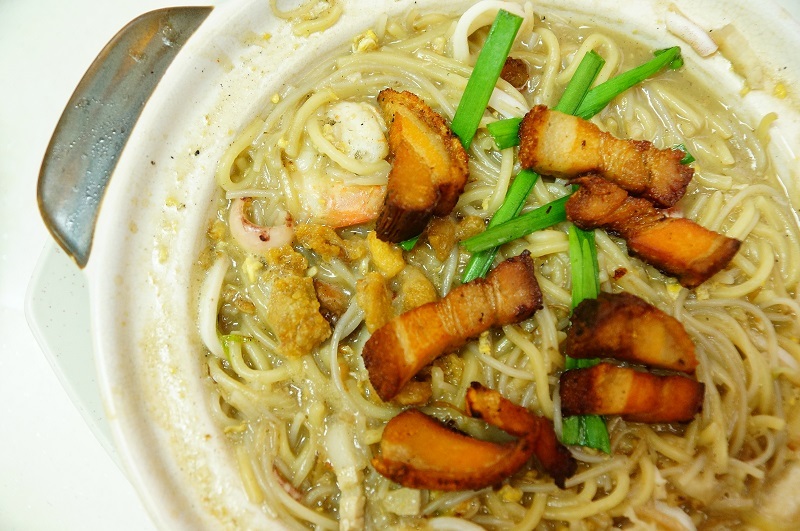 Previous PostGeylang Lorong 29 Swee Guan Hokkien Mee 水源福建面 – Simply Good!